Earlier this week, we watched as Verizon Wireless became the sole US carrier to offer the HTC One M8 immediately after the phone became official last Tuesday. As one of the most highly anticipated devices of 2014, we watched as our HTC One M8 forum became flooded with new threads about the device. Some general discussion, some looking for feedback from new users, others with just regular ‘ol questions about the phone. 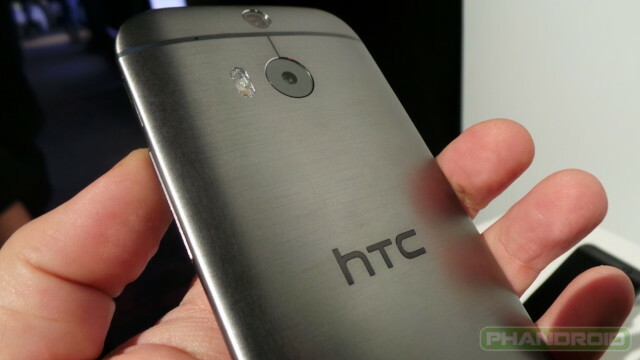 Will Verizon HTC One M8 overseas? We decided to find out for ourselves and after doing a little digging, we came across Verizon Wireless’ “Global-Ready” device page, where sure enough, the HTC One (M8) is listed. According to Verizon, all of their Global-Ready devices can be used overseas without the need to unlock them first. For added measure, we reached out to HTC who assures us the HTC One M8 is, in fact, GSM unlocked and will work fine overseas. Will Verizon HTC One M8 work on AT&T? Because Verizon’s 4G LTE devices use SIM cards, that means many of them (the global-ready ones, anyway) are compatible with the regular 3G/2G GSM bands used everywhere else in the world (no LTE, however). When traveling, simply pop in a prepaid SIM card, configure the APN settings with the network you’ll be using the phone on, and boom. You’re up and running on 3G. Same goes for AT&T in the US (again, no LTE because of incompatible bands). Verizon HTC One M8 on T-Mobile? T-Mobile is where things get a little tricky, with the phone only receiving 2G Edge data speeds unless your areas is one of T-Mobile’s recently re-farmed 2G areas. These are areas where T-Mobile’s 1900MHz Edge network once lay, If so, then it’s 3G all the way. You can find a good list of cities/areas on T-Mobile’s page here. So why should this matter to you? Well, the HTC One M8 not only makes a great travel companion, but should you have a family member with an upgrade on Verizon they aren’t going to be using anytime soon, you could technically use the Verizon HTC One M8 on Straight Talk with an AT&T SIM. Neat, huh?